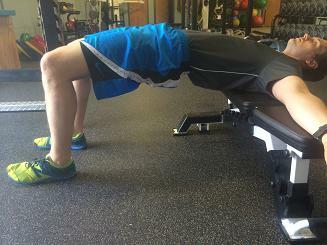 The glute bridge and variations are a go to exercise for the trainers at Precision Fitness and for good reason. 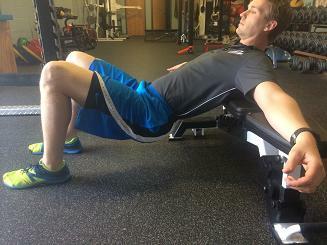 These exercises provides glute activation to the biggest muscle of the body (Glute Max), improves hip mobility (which helps lumbar spine stability) when loaded and done frequently improve the size, strength and appearance of the glutes, increase acceleration and sprint speed and improve functioning of the entire body since the glutes influence foot, ankle, knee, hip, pelvic, and low back mechanics. 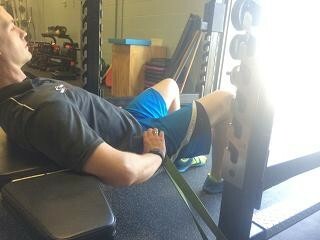 Many folks come into Precision Fitness sitting 8 plus hours day to day for there job (short-tight hip flexors, sleepy glutes) where others are dominant in there quads and hip flexors (cyclists, runners etc..) Learning to fire the glutes and feel them working is the first step. 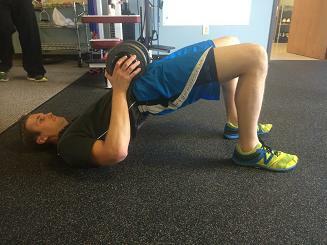 The next step is an increased range of motion and then add external load. 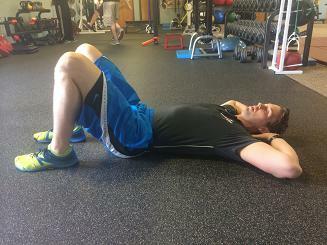 Full Hip Extension vs Posterior pelvic tilt. 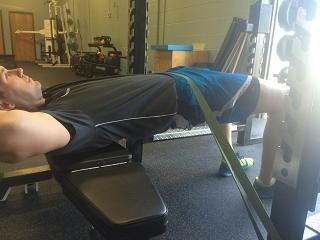 Below there will be two variations of bridging form. 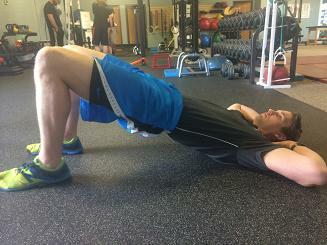 One is fully extending the glutes and the other is posterior pelvic tilting the hips or tucking them under. 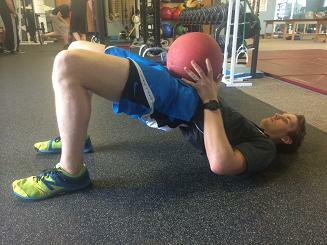 Many folks can do the full hip extension version and they feel there glutes doing the work. 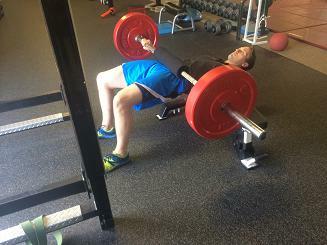 But many do them and feel there low back (erectors) and hamstrings. The posterior tilt version almost always allows clients to feel there glutes working, and not there low back and or hamstrings. The key here is to find out which one works better for you! 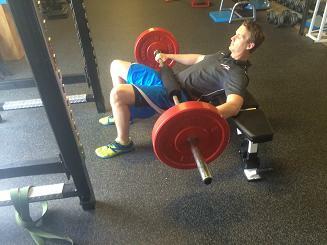 Play around with foot position and knee position and find which version you feel the glutes working the best. 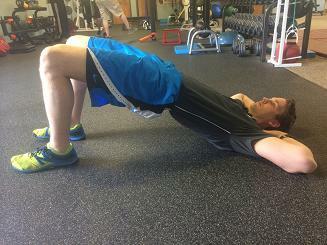 Floor Bridge- Great for beginners, activation, and mobility of the hips.